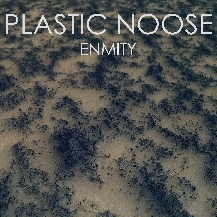 The TPA ADA section customarily rounds up those albums that needed reviewing, but somehow slipped through the net, however Plastic Noose’s Enmity was only recently released, in fact December 2017, so why so hot off the press? 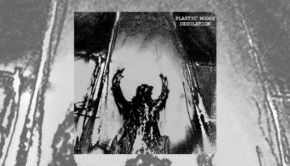 Well it’s been a busy year or so for the man behind the Plastic Noose project, with the release of Desolation same date last year, along with a series of digital re-mastered reissues under Soft Monster and Alan Emslie – all covered HERE on TPA. Enmity treads a similar path to Desolation, a little more circumspect perhaps, but once again minimalistic, classical and avant-garde combine effortlessly within a dark industrial metallic landscape. 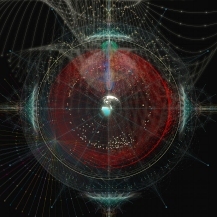 What sets Enmity aside from previous releases is the brave, thirty five minute concluding track, Evolving To Dissolve. 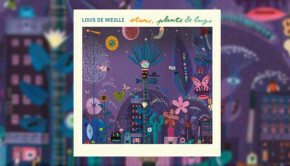 Following on from the rather fine but criminally ignored stars, plants & bugs album in 2015, French nu-fusion maestro Louis de Mieulle has teamed up with American drummer Matt Garstka, best known for his stint with Animals as Leaders. In an unusual set up, Matt recorded 25 minutes of sometimes bewilderingly complex rhythms, after which Louis, with the aid of three guest guitarists, recorded everything else on top. An hour’s worth of music was created, this being the first part. The second will be released later in the year. The nature of Matt’s rhythms means that the overlaid music is a spidery, hypnotic beast that develops into strange textures and melodies. It is gratifying that amongst all the identikit fusion out there these days that someone is taking risks and forging new paths. 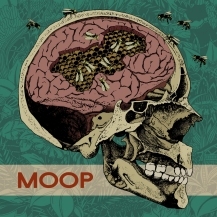 If you have an ear for true progressive music, you need to hear this. The latest Toto collection is yet another “Best of”, although in its defence alongside the usual culprits there are three new songs. All in all this 17 song set is a well paced selection but I guess for many it will be the three new songs, Alone, Spanish Sea and Struck By Lightning that hold the most interest. 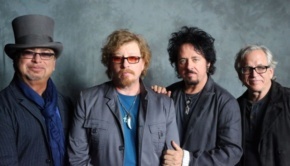 They are very typical of Toto’s latest output, all being mid-range and mid-tempo numbers erring on the melodic rather than the heavy side of their range, but they are not significantly brilliant or memorable enough to make a big fuss over. To be fair, any new material from this particular band is always welcome and as this collection celebrates 40 years of the band, it shows they have been a consistently competent collective writing and produced great music, and have done since their first self-titled album back in 1977. This set is weighted towards the earlier part of their history, complete with all the more well known numbers, and as such it impresses just how good these songs are and how fresh they still sound 40 years later. Toto are still an active unit much loved in Europe and they can still captivate an audience, continuing to make music that is worthwhile, as in the excellent Toto XIV from a few years ago. Yes, I like this collection, it’s very impressive, and the three new tracks are all good but not jaw droppingly so, but still better than much that we are offered as new today. King Buffalo is a power trio from Rochester, NY formed in 2013. While they retain the jam-oriented DNA of the classic power trio sound, their approach is more controlled and polished than the norm for the genre. Their focus is groove and vibe, and their instrumental flights of fancy never sacrifice the core of the song. The meat of their new EP is the title track Repeater, a 13-minute hypnotic gem that unfolds like a lazy Sunday afternoon. 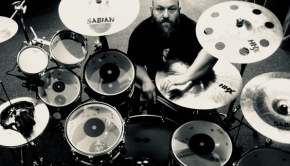 Propelled by an unwavering bass & drum groove, Sean McVay’s glistening guitar and accessible voice keep the mood laid-back and relaxed. They have a wonderfully minimalist approach that strips everything down to its barest essence, while still remaining an utterly captivating listen. It goes with the territory that eventually things are going to get heavy; King Buffalo hold that impulse for over 8 minutes, so when it does come the pay-off qualifies as a true “hallelujah!” moment. 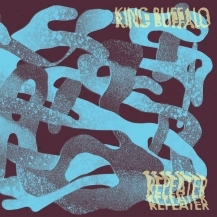 At 24 minutes Repeater is a good sampler of the King Buffalo approach. If the EP catches your attention I highly recommend giving their full-length Orion a spin. Repeater is sold-out on LP via Bandcamp, but the 24-bit download sounds sweet and is a bargain at $5. 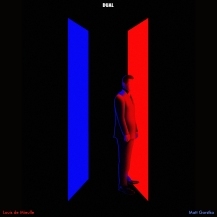 A fetching blend of not-so-brutal jazz, RIO, and a smattering of Zeuhl influence from a line up of two saxes, a guitar and drums means this band of loonies could only be French. Not only that, but they hail from Poitiers which for some reason has long been the twin town of the mire I live in. I wonder what they did to deserve that? There are also tracks called Spoon (no, not that one) and Where Is My Horny Car, the latter being a space-swamp ballad where things bubble under the surface, things that finally break cover, hurriedly scurrying into the undergrowth in the last minute or so of its seven – what’s not to like? Anyway, this is a fine old racket, and well worth a listen! 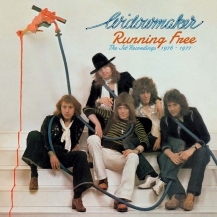 During the seventies musicians could get together to make music without the shackles of the title ‘supergroup’, and Widowmaker had some big names of the time; Ariel Bender, Paul Nichols, Bob Daisley and Steve Ellis among them. They recorded two albums, this Esoteric reissue bringing together the debut Widowmaker and follow up Too Late To Cry in re-mastered form, some tracks appearing on CD for the first time. I purchased the Widowmaker album on vinyl when it was released and the re-mastering here has done a very good job, making the sound crisp and clear. 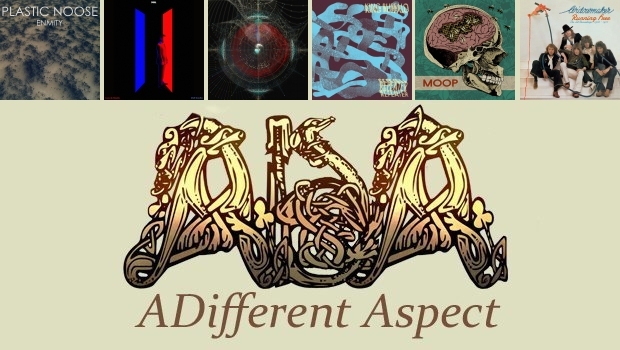 These albums are not really part of Progressive Rock’s history as they are more straight ahead rock albums, but they deserve a mention as the band created two good records before creative differences drove them apart.